Each Geovation Challenge we run focuses on a new issue, from water scarcity and food security to transport and energy poverty. The formula we use every time is Innovation = problem x solution x execution and we are now planning the next Geovation Challenge, starting with the ‘problem’ part of the formula. Identifying the problems is an important first step of the Challenge so that solutions can be focussed on real problems worth solving. 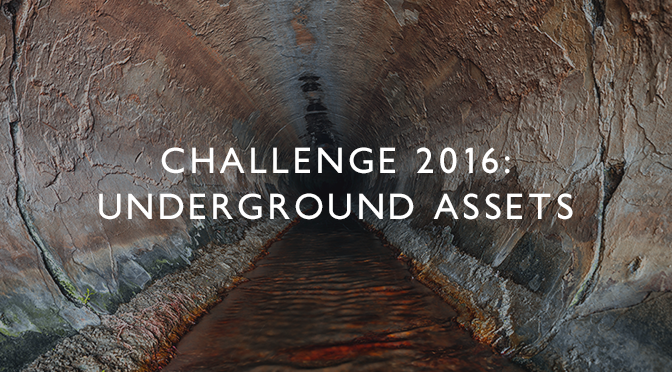 For the next Challenge we are holding ‘Deep Digs’ to uncover the problems associated with better management of underground assets. We are also looking for sponsors who are interested in helping us facilitate innovative ways to solve some of the problems experienced and support the winning ventures’ places on the Geovation Programme. The Geovation Challenge is run online and culminates in a Geovation Camp where finalists develop their prototype ventures using design principles to focus on a sustainable business model to take their idea forward. Winning ideas will be invited to join the Geovation Programme, a 6 month accelerator focussed on idea development, product creation and commercial realisation. The Programme provides geospatial startups with the expert support they need to take their ideas to market. It’s also interesting to see some of the great feedback we had from sponsors and participants about Geovation and camp. “Highly recommend to everyone who is a creator or user of geospatial data as a great opportunity to challenge yourself to improve what you do or how you do it”. The Water Challenge sponsors were United Utilities, Southern Water, Defra and Environment Agency.